Categories: Attachment and relationships, Uncategorized | Tags: borderline personality disorder, BPD, difficult mothers, family estrangement, finding mother's day painful, mother's day, therapy | Permalink. 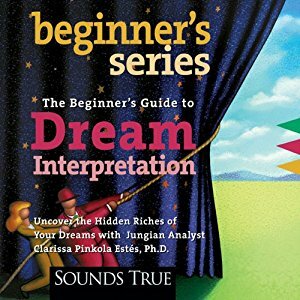 I was listening to the audio book of ‘The beginner’s guide to dream interpretation’ by Clarissa Pinkola Estes , in which, amongst other things, there was a description of the process of Jungian dream analysis, which involves identifying the nouns in a dream, and making associations to those nouns. In order to illustrate this, Dr Pinkola Estes used an example. In her dream-example, she said that she “went out into a field, and in the field there lay the body of a woman, and out of her body grew flowers”. She then proceeded to talk about her own associations to the nouns ‘field’, ‘woman’, ‘body’, and ‘flowers’. 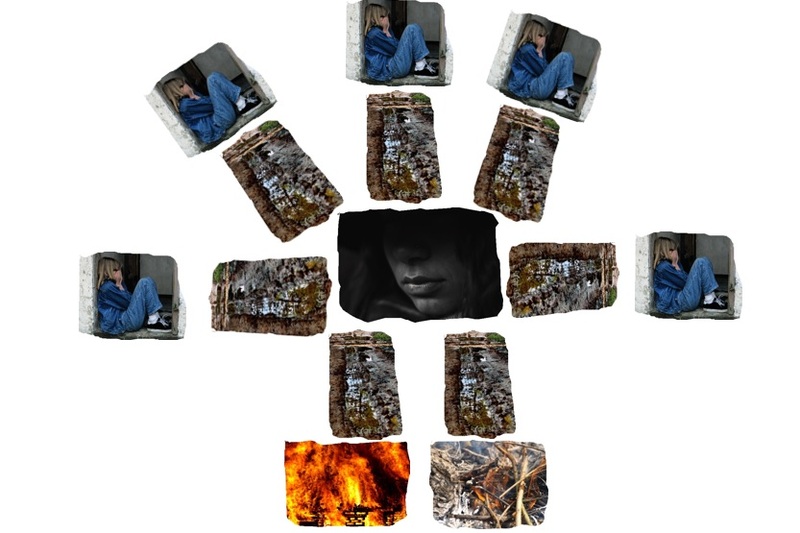 Here is what went on inside my head as I listened to her words…. Her: What do I associate to the body of a woman? What do you associate? Her: My association is curvaceous, beautiful, soft, yielding…..
Me: Hang on, did she not say the body was dead? Let’s try and remember. Nope. She never said that it was a dead body – just that it was a body. Her: What do I associate to flowers…..? Flowers to me are extremely healing…..
Me: Great. I just thought they were grave flowers, flowers of DEATH, because they were growing from or close to a DEAD BODY…. Categories: Poems, quotes and music, Therapy, Uncategorized | Tags: borderline personality disorder, BPD, dream interpretation, free association, humour, Jungian dream analysis, subconscious, therapy | Permalink. ….and sometimes, it feels like walking around with an open wound, knowing it will be a very, very long time, before it starts to close. I wrote this post more than two years ago, after a very distressing session in which we talked about the end of therapy and the fact that my therapist will move to a different part of the country, eventually; and we briefly talked about death – her death. Today we talked about the end of therapy again, and what the ‘after’ might look like. There is still no concrete date, she doesn’t know exactly when she will retire, the discussion wasn’t prompted by any ‘announcement’ on her part. But the anticipatory grief of that ending follows me constantly, and I do not know how to shake it, and so it seemed that it was something we should talk about. I didn’t cry very much, though I was digging my fingers into my arms, and at the end of session when her doorbell rang, I didn’t hear it. When I got home I lay in bed for a short time, hugging a soft toy that I have named after her. At least when you cry at home, in private, you can cry loudly. Moans, wails, stepping-on-cat-tails noises escaping from my body – too embarrassing to voice my pain in anything but words and water, in front of her. I cannot cope with the thought of losing her, and of losing the best adult relationship of my life. I cannot cope with losing the only person in my life who feels like a parent. I know she understands loss, but I don’t know if she understands what this loss feels like to me. Here’s the difference, I think, between the two of us. She may mourn, for a little while, but ultimately will be content to remember me occasionally, through the things that were important to us and that remind her of me. She will keep me alive in those ways, and she will continue to feel connected to me in those moments – and that will be okay, and enough for her, in a way that it would never be okay or enough if that was the basis of her future relationship with her biological daughters. I’m not family to her – but she’s the closest thing to adult family, for me. She has told me ‘once a mother, always a mother’, and I believe her. I know she will always be my therapy mother, but ultimately that is a particular type of mother-daughter relationship in which leaving home is more like being bereaved than moving out. Mother lives on, but only internally. And as for being a mother (rather than a therapy-mother) – when you have a child you might look forward to a bit more time, independence or adult interaction when they are older, but there is no wish or desire ever to be ‘relieved of duty’, as it were, whether your children are physically present, or not. Our therapists may care for us, remember us, even love us, but I guess they have to leave us behind. There are too many of us – clients – and too many other facets of our therapists’ lives. They carry us attentively and lovingly, sometimes for years, but at some point they have to be ‘relieved of duty’. I don’t say that because I think that somehow my therapist’s care for me is just a ‘duty’ of her profession – it is genuine. Neither do I think that her care of me is a burden (or at least, not most of the time!). But I think I need to be careful that it does not become so, after we have finished. You go through therapy trying to sideline the massive inequality between you, which you know is there but is too painful to think about. You build genuine, caring, deeply trusting relationship – and still you try to turn aside from the knowledge that for perfectly legitimate, necessary, and ‘nobody’s fault’ reasons, you are not loved in quite the way that you love. And you try very very hard to be okay with the way in which you are loved, because it is still the best way that you have ever experienced, and you are very very grateful. But the elephant in the room is never bigger than when it draws itself up in fear, at the prospect of eviction. I don’t know how to handle it other than by trying to bury the worst bits of it again. But even when I’m not talking about it session, feelings of sadness and prospective loss follow me everywhere – which is why I was talking about it in session in the first place. I hate that it is taking away from the otherwise wonderful feelings of connection and closeness I’m experiencing in sessions (and between them) these days. But what can I do? The loss is coming, I simply cannot – unlike my therapist’s doorbell – not hear it anymore. I come through the door, therapy-wiped-out, and head for the bathroom. Afterwards, I manage to pull my tights up only half way, and proceed to climb the stairs with them still around my knees. 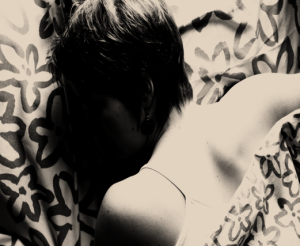 I fall into bed and pull the covers right over me, where it is dark and warm. I remember shivering with sobs, not cold, earlier. But now I am cold. Categories: Uncategorized | Tags: anticipatory grief, borderline personality disorder, BPD, grief, mother daughter relationship in therapy, the ending of therapy, therapeutic relationship, therapy, therapy mother, what therapy sessions feel like | Permalink. 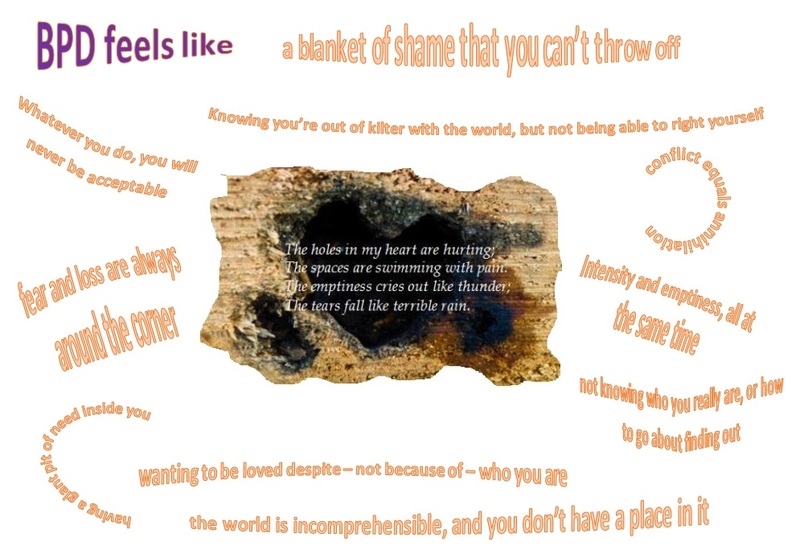 Categories: Uncategorized | Tags: borderline personality disorder, BPD, characteristics of bpd, what bpd feels like, what it feels like to have bpd | Permalink. As soon as I saw this dance footage, I knew I really wanted to share it with you. It is a clip of Jacob Lang, one of the competitors in the Contemporary Dance final of the recent BBC Young Dancer 2017 show. This is one of his solo pieces, entitled ‘FrankAIstein‘, danced to music from the film ‘Shutter Island’. The music itself is haunting, both in its words and in its moving strings – it is a beautiful blend of Dinah Washington’s ‘This bitter earth’ and Max Richter’s ‘On the nature of daylight’. These words, and the dance itself, resonated for me as powerful metaphors for my experience. You can substitute the psychoanalytic concept of the ‘false self’ or the ‘artificial self’, for the AI, but the conflict, and the painful experience of being, are just the same. Who am I? Am I real? If there is a ‘true self’, how can its spontaneity and freedom be expressed or show through this artifice that has been created? The painful sense of fighting with oneself, of trying to figure out one’s true nature, of being taken prisoner or being taken by surprise by one’s own being – I think they are all there in the dance. I know that for many of you reading, this will be your experience too, which is why I wanted so strongly to share this. Categories: Uncategorized | Tags: bbc young dancer 2017, borderline personality disorder, BPD, creativity and mental health, dance, dance and mental health, dance as a metaphor, dance expresses pain and conflict, therapy | Permalink. The first part of the Easter therapy break was, after all, okay. I was pleased that, after an unexpectedly difficult last session (described in Part 1 of this post), I ‘pulled it back’ and felt connected, secure, and held in mind, for the first week. Snatching victory from the jaws of defeat is not something I’m used to, relationship-wise. I tend to catastrophize if things don’t start out well, or as I expect them to be. The relationship with my therapist is my first in which things were rocky (understatement) at the start, and then blossomed over time. For many months it was difficult to believe that whatever might ultimately be gained, would not be weaker, or somehow permanently sullied, because of the fact it began in adversity. It shows how wrong I can be. I was also wrong about needing to start the therapy break in a particular way (a supremely positive way, of course), in order to be able to feel connected. The first few days were difficult, and I was much more unmotivated than I have been at the beginning of the last few breaks. As with the last two breaks, I daily-tweeted my way through this one, despite my initial reluctance to do so. By Day 4 my #therapybreak tweets were showing a return to openness, vulnerability, security, and connection. But as with all good stories, things had to get worse before they, um…..got even worse. To cut a long story short, my therapist went away without telling me – which of course she has every right to do. That is, she went on holiday and was out of email contact for a week, and I had no idea. And when there was no reply to an email I sent, for several days, sadness and catastrophizing set in. Although the major part of me continued to believe in her caring and in our connection, I had to fend off the part of me that didn’t. For the first time in a long time, there was a physical dimension to my distress – I had difficulty falling asleep, and I had vivid and complex dreams. I know that the situation was intensified by a number of other factors I had been worrying about over the break, but in essence, I just didn’t understand my therapist’s thought process behind acting as she did. It was another example of the unexpected throwing me for a loop. It happened at the start of the break, and it was happening at the end. It was not how I imagined my therapist would act – in the past she had told me (as far as I know) when she would be out of contact. But we had no explicit agreement that that would always happen, and in the absence of her telling me otherwise, I simply assumed she would be spending the break at home. I never thought to check my assumption. I told a wise friend, who thought my expectations of my therapist were unrealistically high – he put it more kindly than that – and though I hope that’s not as true as it used to be, perhaps I still fall into the trap of idealisation. When I found out my therapist had been away, my mind came up with several possible options for why she might not have told me, and eventually settled into the firm belief that she had gone away to look for a house to buy for her retirement, in another part of the country. I was so fearfully convinced of it, that it was quite difficult not to go into my first session back and say “So, you bought a house then?”. As far as I know, she hasn’t bought a house. Instead, it seems that she simply had confidence in me, and the progress that we have made over the past year. I think she thought that I would be okay, based on how the previous three breaks have gone. I’m very glad that she believes in me – though I did object that she ‘took the risk’ without my permission. She used the metaphor of a parent taking their hand off the bike seat to show their child that they can manage for themselves without stabilisers. I did the same to my own children, so I could understand that – is the decision wrong, and the confidence negated, if the child falls over and ends up in a heap? I don’t know….but they may well be scared of trying again. At least the way the break ended meant that my first session back was a very different story to the versions of it that I imagined during the first part of the break. As you may be able to tell by now, I run scenarios in my head – a lot. And as a lucid dreamer, I’m used to stepping in and changing direction when things aren’t working out so well – in my daydreams, as well as in my night-time dreams. “So, I brought a list of questions”, I said, as I handed over a sheet of paper. My therapist reached for her glasses, and I felt apprehensive; the last time I had a list to work through, she wasn’t that enthralled at the idea and felt it got in the way of the session. And as for asking her questions – on the whole that doesn’t tend to go too smoothly either.She started to read the questions silently to herself. I said, “These are things I thought about a great deal over the break, and that I really need to talk about. They’re on my mind a lot, and I’m anxious about them, and it would help to have some answers….”. I went over the first couple of questions in my mind: “is your daughter still living here? ; how many years do you think it will be until you retire?”. Gulp. What was I thinking? “What were you thinking?” she said. No, hang on a second, she wouldn’t say that. And this is clearly a really bad idea…..
“So, I had a list of questions, but I decided it would be a bad idea to bring those and hand them over”. She looked at me quizzically, waiting for me to go on. “They were things I really wanted to have answers to, because I needed reassurance, I needed to feel better”. More waiting for me to go on. “But I didn’t bring them…..”. “Why did you decide not to bring them?” . “Um, because I didn’t think you’d answer them? And because it didn’t feel like the right thing to do – it would get in the way”. “Of speaking freely about what was on my mind, of seeing where the session takes us….”. “What sort of questions had you wanted to ask?”. “What are you thinking?” she asked, as I went silent for a while. HHmmm……not quite sure this version will go any better. “So, I think she should take the questions in with her”. “No, she won’t do that, she knows it’s a bad idea”. “Still, I think she’ll do it. It’s what she wants to do, and she needs the answers, the reassurance”. “As if your judgment can be trusted – you wanted to send her into session two weeks ago, with no underwear on”. “I won – partly. No bra”. “Well, I say she’ll take the list of questions in anyway – betcha”. Oh, seriously, come on – are my ‘internal voices/parts’ really going to start taking bets on how much I can humiliate myself at my first session back? After that, it was a strange sort of relief to spend the first session back, talking about why my therapist went away without telling me. Categories: Therapy, Uncategorized | Tags: borderline personality disorder, BPD, easter therapy break, emails with therapist, staying connected during therapy breaks, therapeutic relationship, therapist out of contact, therapy, therapy break | Permalink. I told you during sessions last week that I had an image in my mind of what the last few weeks of therapy have felt like. I tried to draw it, but I can’t draw, and so I gave up. You asked me to describe it in words, but giving it expression didn’t erase the image from mind. And so I have put it together from some pictures that I found, so that I can show you how it feels. But I still don’t think that it will go away. If I had to summarise the last few weeks of therapy, I’m not sure what I would say. My memories of them are patchy and I really have to reach to pick out the various threads. I have experienced an internal inertia to writing things down. I’ve had a large number of dreams that felt interesting, relevant and significant, but again there was the same inertia to trying to record them. It feels as though so much has faded and been lost, and all that is left is a sense of having gone down many paths, but stopping on each, part-way. I get so far, and then another occurrence, another topic, presents itself – uppermost for discussion. We change course, and it feels as though things have been left hanging. I know we’ve spoken before about the fact that if things are important, they will inevitably resurface, perhaps in a different way. I’ve seen it happen, and I know it’s true. But it feels as though the number of ‘loose ends’ and the number of paths traveled down, is overwhelming. And at each part-way-point, it feels as though I leave a hurting younger part of myself, with no resolution. A part whose presence I acknowledge, but only briefly before I have to say ‘wait here, I need to go and attend to something or someone else’. Often I will divert onto another path, where I leave another mourner. Sometimes, I am the mourner – when the path leads to the raging inferno of turbulence and anger in my marriage; or to what feel like the dying embers of its future. I feel as though I’m either firefighting (or in some cases, fire-starting), or chasing down rabbit holes. Sometimes it even feels as though I have nothing to say – until I find myself, for a time, on another path to….where? I feel as though I’m crying out for a thread to follow, for some sort of coherence. I want to look back over the last few weeks and be able to see a journey that I’ve been on; a journey that makes sense, with milestones that I can cling onto. I want to see the progression from the ‘me-then’, to the ‘me-now’. And yet my own actions have been working against me; the lack of a written record, a smaller than usual number of blog posts, hardly any dreams recorded or discussed. I have reinforced this lack of coherence, my self. Somehow this all reminds me of the discussion we were having last week, about wanting to know, and to be known. It feels painful when I ask questions about you, that you refuse to answer. It feels painful knowing there is so much about you I don’t know. And you were absolutely right when you said that there is far too much that goes on in my life and in my head, to be able to make all of those things fully known to you within three hours per week – and that is very painful too. You spoke of the difference between knowing a person and knowing things about them; the former being an experience, and the latter being a collection of facts. I think you wanted to reassure me that I can be known even if you do not know everything that happens in my life; and that I can know you despite knowing relatively few facts about you. And yet I have a strong desire to know some event-facts and some feeling-facts about you, and in particular about the time in your life before you trained to be a therapist. I want to understand who you were as a teenager and young adult; I want to know how you felt, what experiences you had. If there was one big question that encompasses all of the others, it is this: what happened to you and in you, what did you do, in the journey of your own becoming? What has made you, you? How did you travel, emotionally and physically, from you-then, to you-now? My first ever blog post was about the moving experience of reading Susan Hill’s ‘Howards End is on the landing: A year of reading from home’. It is an autobiographical tour through Susan Hill’s personal library – a memoir hung on books, using her discovery and rediscovery of her collection to tell of the stories and memories they evoked. . What made the book powerful for me, was the compelling idea of being able to look back on a what seemed like a coherent life; the sense that the same person (albeit perhaps with different characteristics) travelled from one point in life, through such-and-such set of formative experiences, to arrive at another point – changed. But still, in some mysteriously fundamental way, the same. The only thing that ties all of these meandering thoughts together, is the sense that I have no origin, no coherence, no permanence through time. No wholeness. It’s why I was fascinated, recently, when I had a long email conversation with an old school friend I hadn’t spoken to for twenty years, to hear her accounts of us as children, and her view of me then, which persisted for her, now. She had numerous memories and I had virtually none, and it was like hearing her talk about a different person – save that some of her recollections of my words and actions, rang very true. There are things here I cannot yet grasp. Confusion about origins, about identity, about being and coming to be. And it feels as though all of my actions over the last few weeks- the jumping from path to path, the lack of a written record – have been half-consciously aimed at reinforcing or acting out those confusions. There was an incident recently, where it felt as though my reactions to a difficult session were like a greatly fast-forwarded version of a way of reacting to (or guarding against) events, that probably took years to develop as a child. In some ways, these last few weeks feel like a sped-up replaying, a mirror, or a condensing, of life as it has been over the years. It’s my way of showing it to myself – and this is my way of showing it to you. Categories: Uncategorized | Tags: borderline personality disorder, BPD, confusion in therapy, leaving things half-finished in therapy, not understanding the therapy journey, painful journey of therapy, therapeutic relationship, therapy | Permalink.